Summer 2018 gave us all a sharp reminder about the value of a just-in-case forage reserve. Clearly, rebuilding this important home-grown asset is on this summer’s agenda for a good number of livestock farmers. 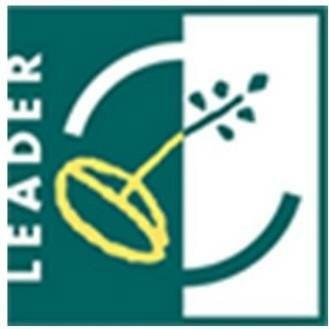 In addition to growing more grass and harvesting more efficiently etc, minimising avoidable losses that occur once the clamp is sealed can also contribute. Research bean-counters say the loss can be 10% of harvested material even in well-managed set ups, and as much as 25% on average! So for everyone making silage this year, without exception, reducing this is equivalent to making extra tonnage at zero cost. Aside from effluent, which of course can be minimised by wilting grass to 25-30% dry matter, a significant but invisible cause of in-clamp losses is warming up. This can occur immediately after silaging, during storage, at the open clamp face and in the feed trough. Warming up is caused by yeasts, moulds, fungi and pathogenic bacteria that are all unavoidably there on harvested grass. Against these, lactic acid is not particularly effective. Instead, it is acetic acid – yes, vinegar – that’s required, for exactly the same reason it’s used for pickling beetroot, onions, eggs etc to preserve them from rotting. The study also identifies that using inoculants producing lactic acid only “leads to silages which have low stability against aerobic deterioration” sometimes referred to as secondary fermentation. 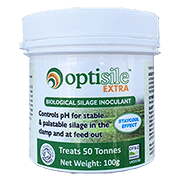 Lactobacillus plantarum to generate lactic acid for rapid preservation and maximum capture of nutrients going into the clamp. Two other Lactobacilli that generate acetic as well as lactic acid, to create the STAYCOOL effect. All the issues which apply to preserving grass also apply to Maize, Wholecrop and other ensiled crops. 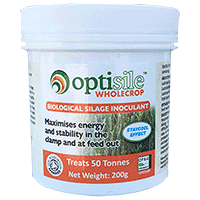 Therefore, the action of OptiSile is just as relevant on any crop which can be clamped and fermented. 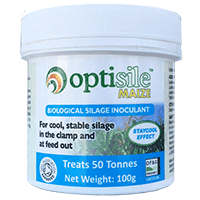 Our range includes OptiSile Wholecrop and OptiSile Maize.